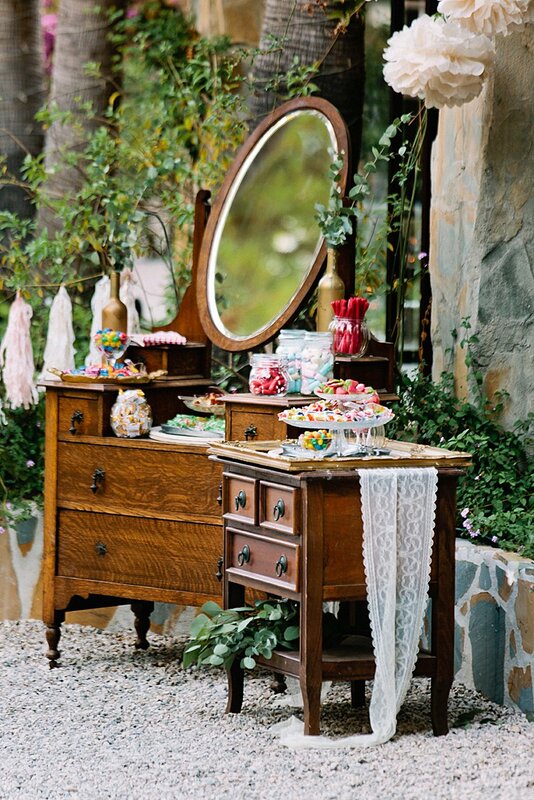 We’re always thrilled to blog the weddings of our real blogging brides, and we could not be more excited to feature beautiful Hayley’s sun-drenched Spanish wedding to Ashley at El Cortijo de los Caballos. 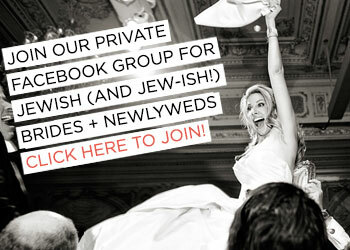 We loved reading along with Hayley as she went through the process of converting to Judaism during her engagement, and couldn’t be more proud to see her and Ashley standing under their lovely DIY chuppah, which put folded umbrellas to use as poles, draped in tulle and lace — including a square from Hayley’s dress! Check it out in Anna Gazda’s luminous photos. 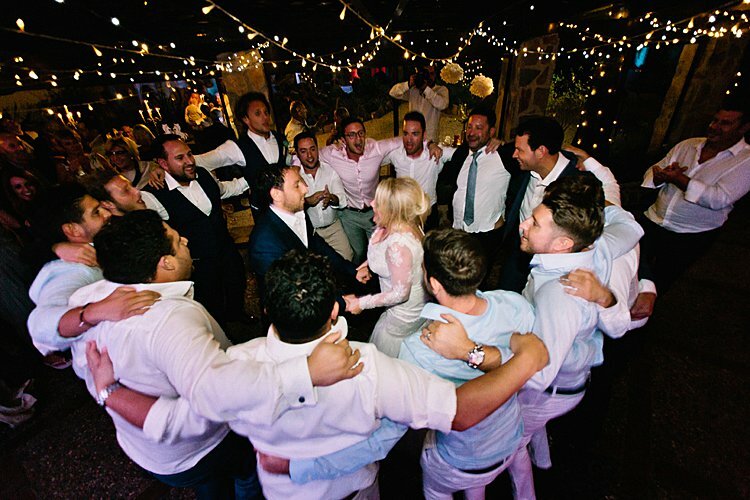 This wedding was chock full of personal touches… between custom kippot inscribed with “Man Utd Rule” with footballs printed on them, as a nod to Ashley’s chosen team, to a very memorable rap by the bridesmaids (they turned Ice Ice Baby into “Ash Ash Hayley”!) 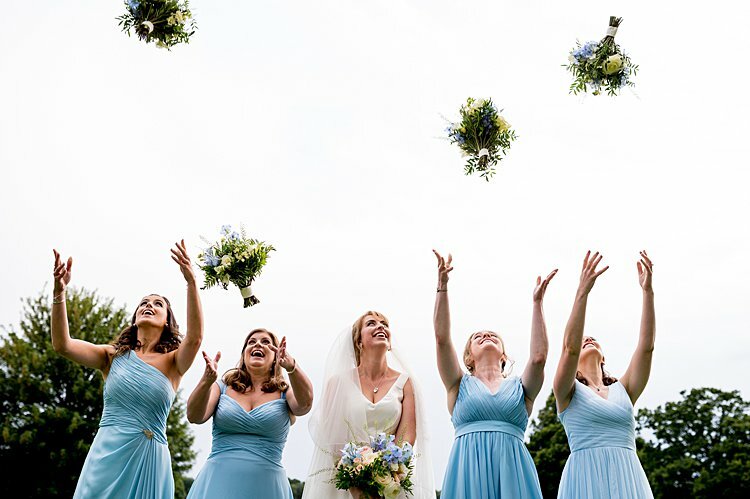 Hayley and Ashley injected so much personality into their fun-filled day. And to make sure their wedding was a party to remember, the couple flew out Smashing The Glass Recommended Vendor Totem as their band! Performing at both the ceremony and reception, Hayley and Ashley credit their fab band with making the party happen — and report that guests are still telling them how great the music was! Hayley, the bride: We met online through Tinder, although I’m sure Ash told a few people we met at a bar in Shoreditch! We absolutely LOVE today’s bride, Tash, who is an avid Smashing The Glass reader, and looked so elegant in her Stephanie Allin gown (with “the best twirling skirt ever!”). 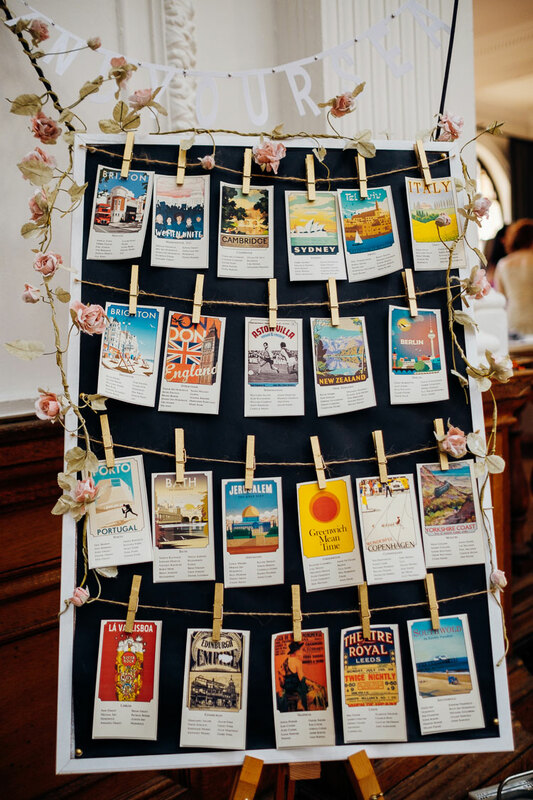 She made some amazing vendor choices (choosing three STG Recommended Vendors all found on the pages of Smashing The Glass) and she had so many beautiful creative ideas. 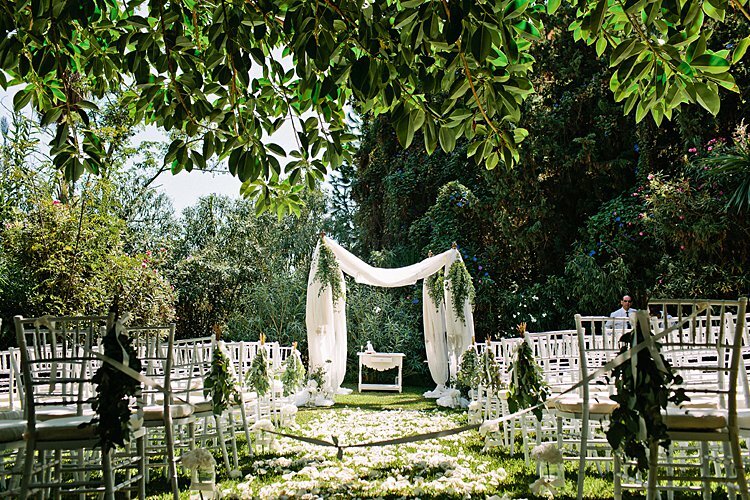 We particularly love the couple’s extra-meaningful chuppah design inspired by a previous wedding on Smashing The Glass, where the guests helped decorate the canopy with flowers (so gorge). 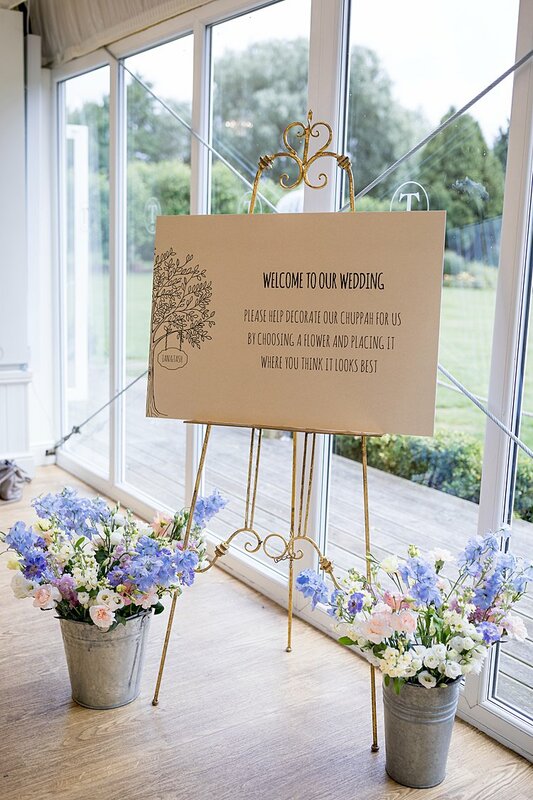 Their fab florist, the amazing Emma from STG Recommended Vendor Urban Flower Farmer, designed a simple birch pole chuppah laden with greenery and arranged flowers in buckets by the entrance to the ceremony, with a sign asking the guests to add them to the chuppah. 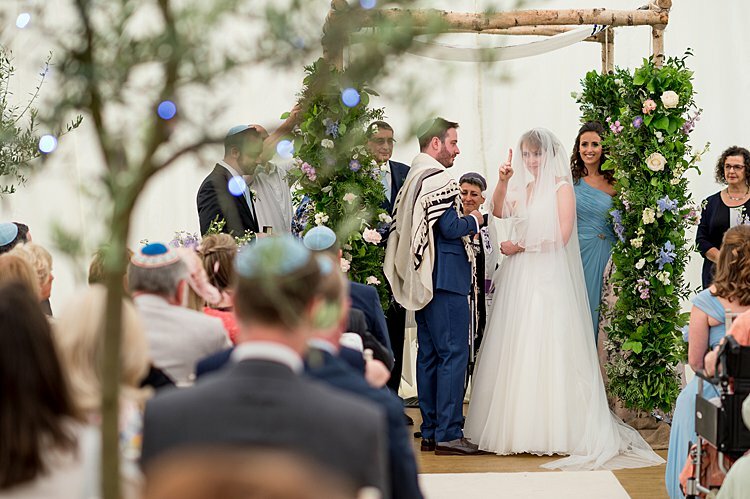 And that’s just one of the beautiful ways Tash and Ian personalized their ceremony while embracing Jewish tradition — you’ve got to read about their ultra-meaningful badeken. Photographer Andy Tyler and videographer Rideout Films did a wonderful job capturing all the emotion of the day. 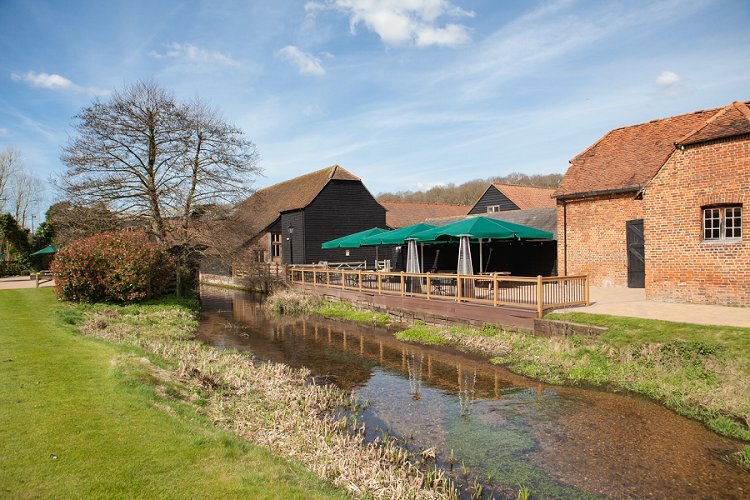 The pair had a large wedding (230 guests!) with LOTS of children, and to make things easier for the parents in the crowd they hired another fabulous STG Recommended Vendor Safe and Sound Childcare to provide a creche, which kept all the little ones entertained and allowed the adults to enjoy the party. Tash, the bride: We met online – if you’d told me 5 years ago that I’d end up marrying someone I met online I would have thought you were mad, but here we are! But it turns out it doesn’t actually mean you get more truthful profiles, as Ian’s friends Jo and Stu wrote lots of things that I’ve subsequently discovered were complete lies – like the suggestion that Ian is not a football obsessive! 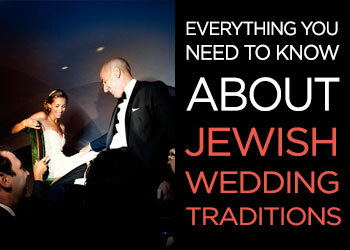 That was our first reaction when we clapped eyes on this ridiculous stunner of a Jewish wedding. 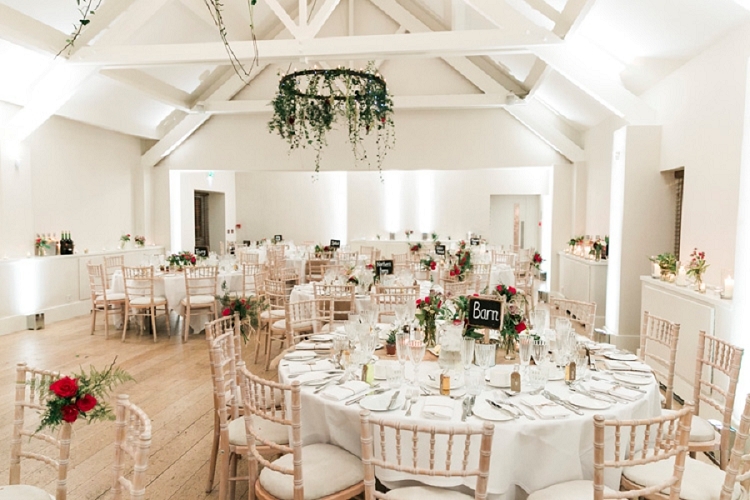 It remained our reaction throughout every moment of gazing at, editing and reading all of the fabulous details of Michal and Sam’s quirky and incredible Big Day. Every single second produced a fresh ‘wow’ and we’re pretty sure you guys are going to agree. Where to start? We’re crazy about the adorable story of how Michal and Sam met and kept coming back together over the years. 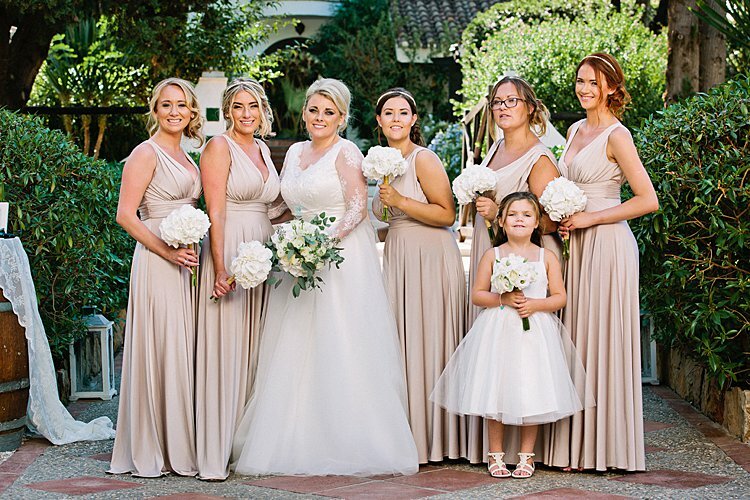 We can’t stress how much we rate beautiful bride Michal’s eye-popping, jaw-dropping wedding ensemble (including her ludicrously flattering blush Watters gown), in which she looked so ethereal and gorgeous, that we can’t imagine anyone in attendance could take their eyes off her for a second. 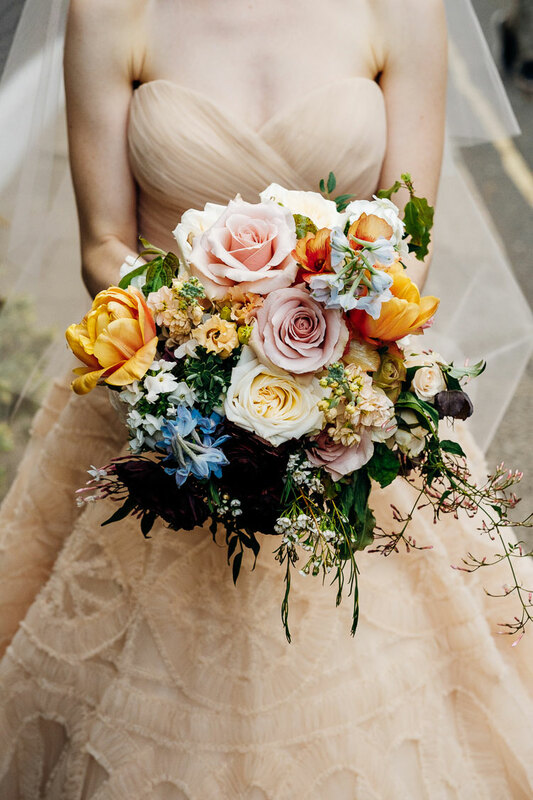 Attention also needs to be paid to the super cute, vintage-inspired aesthetic, and springtime color scheme, embellished with fabulous floral designs from none other than our ridiculously talented and much-loved Recommended Vendor, Liz at Blue Sky Flowers. 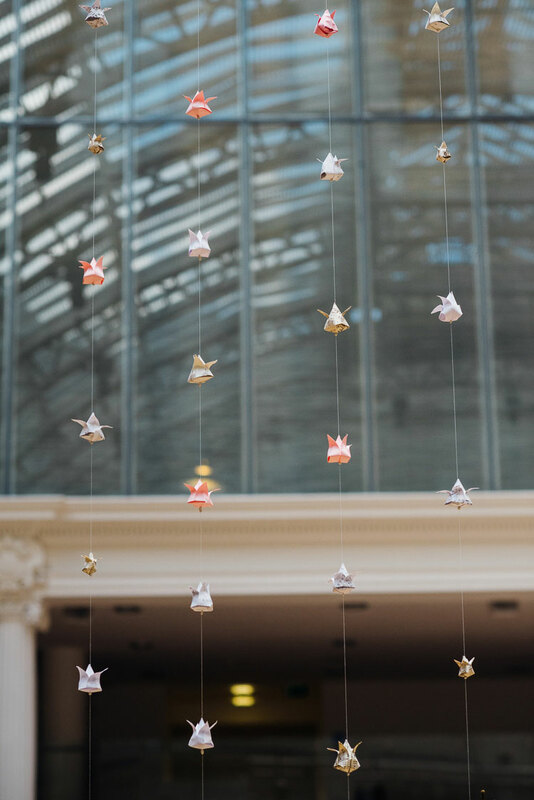 Another couple of honorable mentions go to the plethora of origami tulips, made by friends and provided by Etsy, and the ingenious idea for the kippot from Circes of Life – no spoilers! 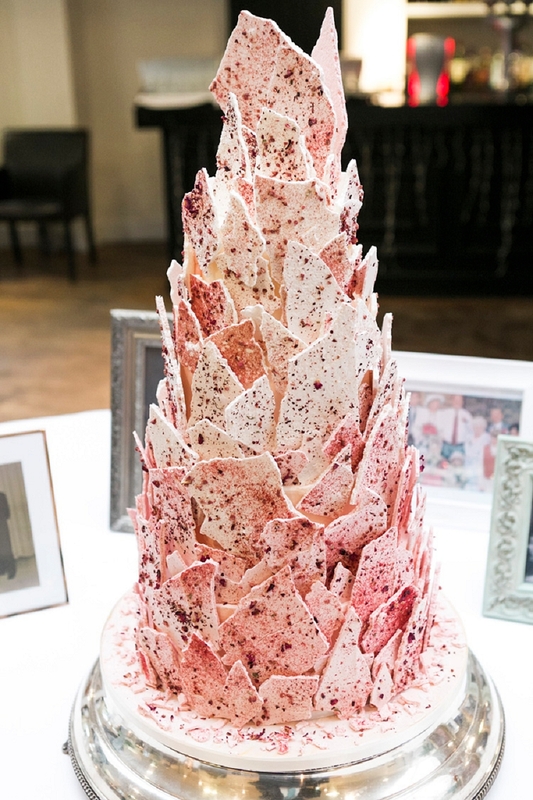 Every last divine detail wast captured by fabulous photographer, and frequent STG photographer, Marianne Chua, and the goosebump-inducing video below was created by Uri v’Tamar. We adore Michal’s fantastic writeup, and hope you enjoy this visual and emotional treat as much as we did. Michal, the bride: We met when we were 17 on a trip to Europe with our Jewish youth movements. We sat next to each other on the coach and got on well enough that Sam invited me to his school prom. After a few years as friends, and a false start on our gap year, we finally got together at Limmud on New Years, and got engaged on our anniversary seven years later. 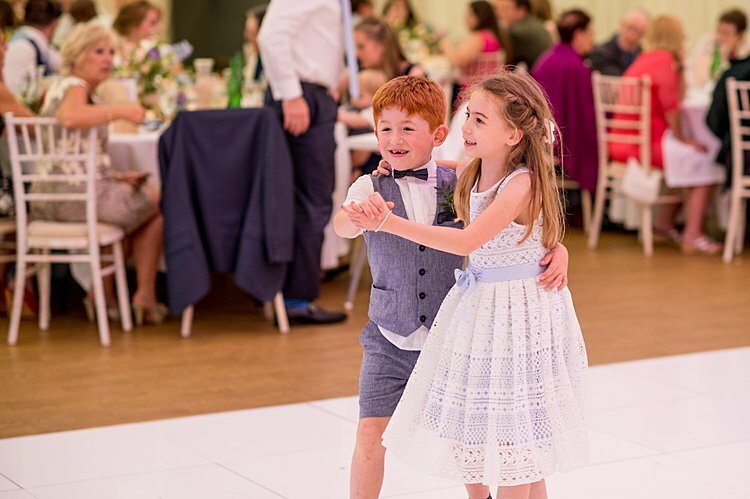 If there’s one thing we’ve learned over the years about Essex couples, it’s that they know how to party – and party is exactly what fun-loving Sammy and Wayne did, with gusto! 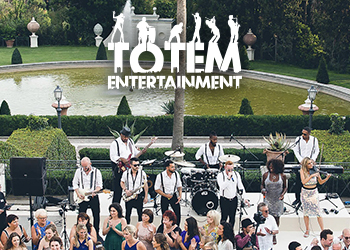 In fact, they partied so hard to STG Recommended Vendor, Totem‘s, set, that bride Sammy threw caution to the wind, and herself into the arms of her guests, becoming our first crowd-surfing bride! 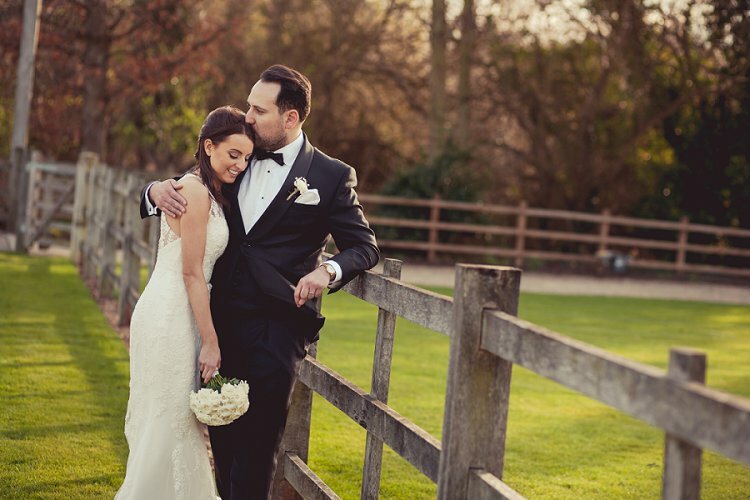 Sammy, an assistant producer with credits on just about all of your favourite entertainment shows, and Wayne a lettings manager, met as teenagers, and these childhood sweethearts stayed together through thick and thin, tying the knot on their ten-year anniversary. 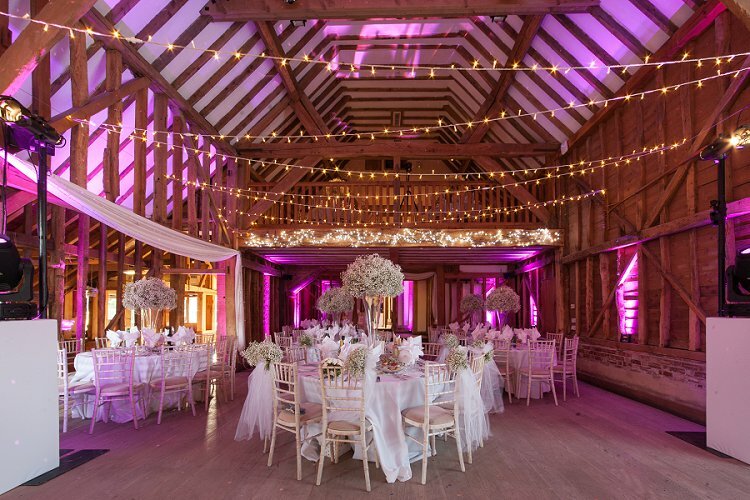 The pair chose a rustic barn theme, with an abundance of gypsophila and a plethora of twinkling fairy lights, creating an absolutely magical atmosphere. 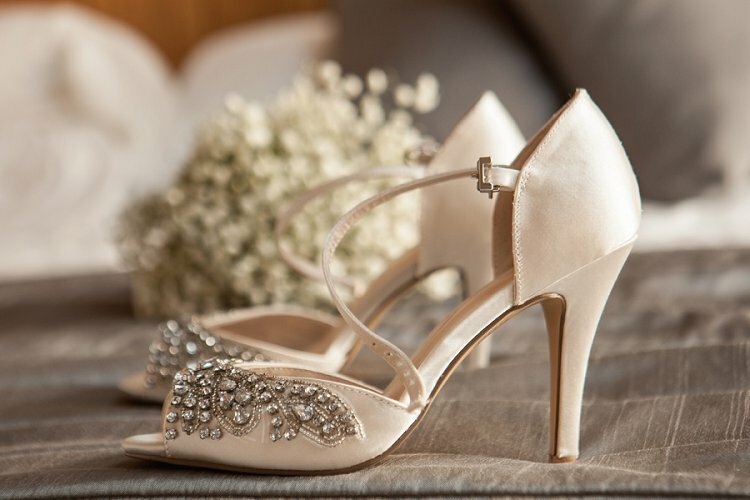 Sammy looked sensational in her Enzoani gown, and Jenny Packham heels, which she later swapped for embellished, personalized Converse, echoing one of her favorite films, Father of the Bride. 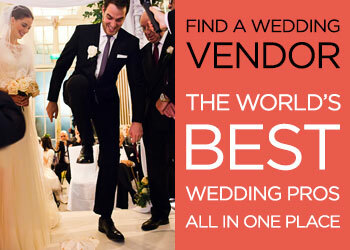 All of the details (including that epic crowd surf) can be seen in much-loved STG Recommended Vendor, Denee Motion‘s, film (below) and the gorgeous images by photographer, Reportage By Limited. 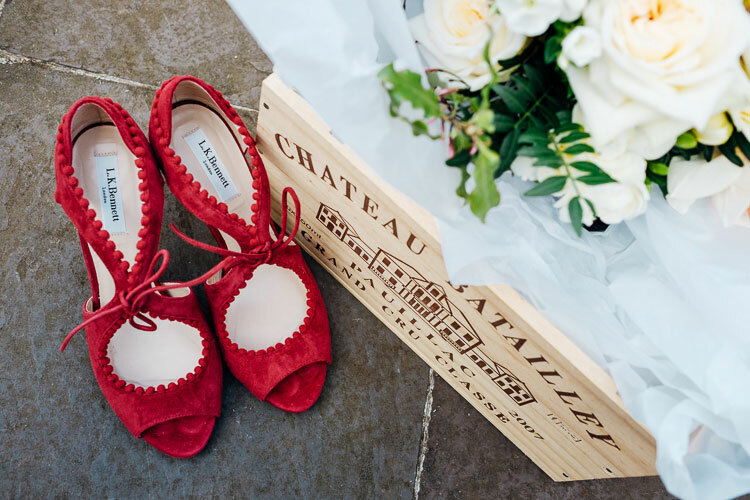 We’ll pass you on to Sammy for the full lowdown on her and Wayne’s special day! Sammy, the bride: We went to King Solomon High School in Essex, but Wayne was two school years above me and emigrated from South Africa when he was 14 years old. We never spoke at school. When I was in sixth form and Wayne was on a gap year before university, we met at a mutual friend’s birthday party in a nightclub. We clicked straight away, and went on our first date a week later. On our first date, we went to a restaurant where we chatted for five hours, we practically got chucked out of the restaurant as we didn’t want the night to end. The rest, as they say, is history. Attention everyone: we have an exceptionally exciting real wedding on the blog today and one that I’ve been eager to share for quite some time! Our real blogging bride, Lauren, who we LOVE, finally married her darling John. 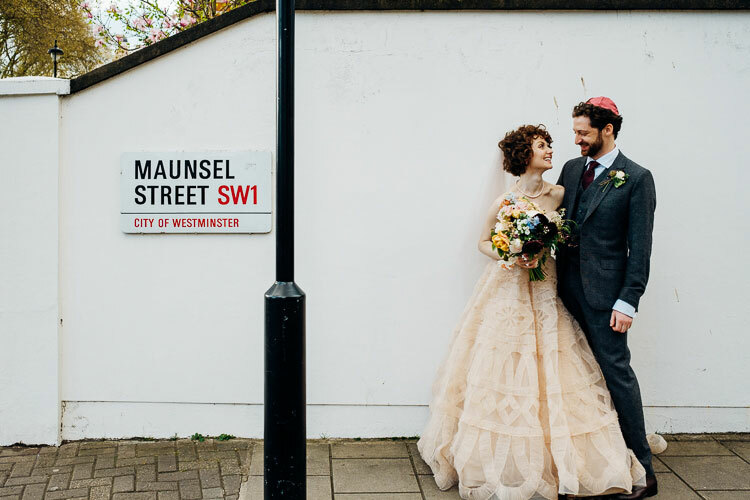 She is the first of our 2016 real Jewish brides to be blogged and boy, did she get wed in style. 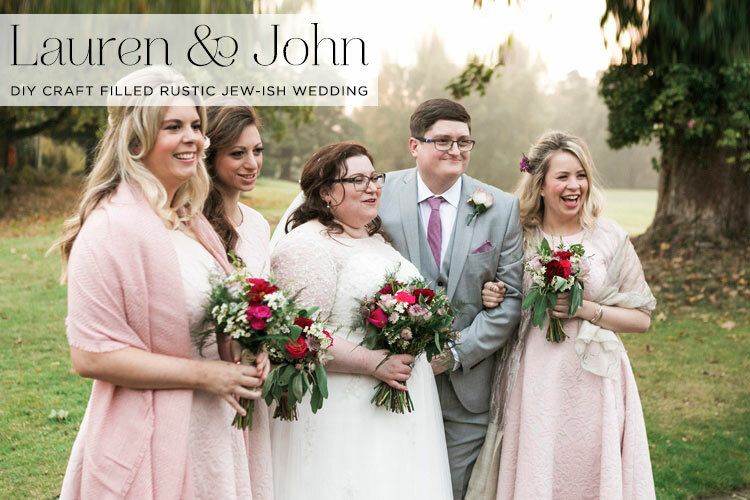 Lauren’s Jew-ish wedding was every bit as chic, contemporary and downright cool as I expected it to be. 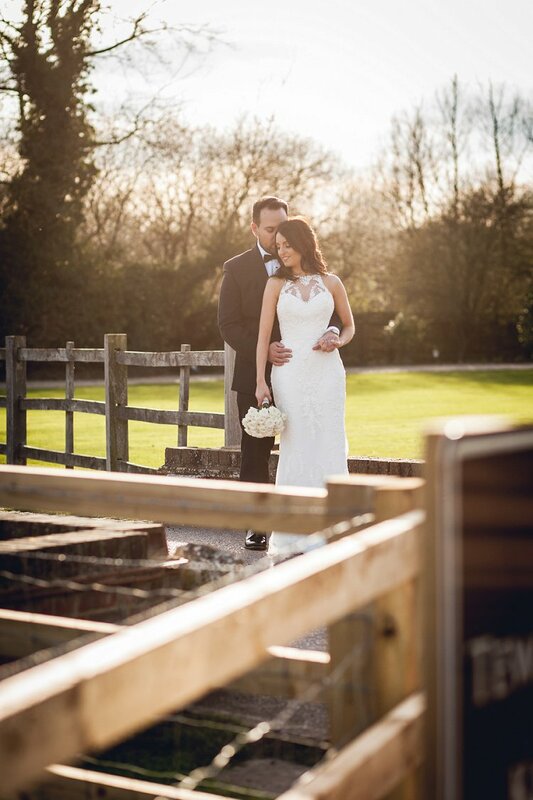 The day was expertly captured in all its glory by Photography by Krishanthi. 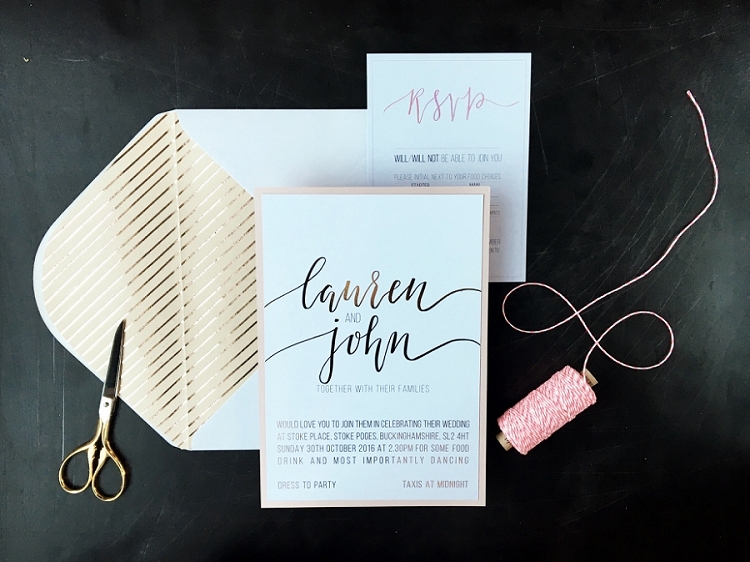 Lauren was a very detail-oriented bride with an exceptional eye for design. This shone through in every quirky and awesome choice the happy couple made for their big day, from their stunning gold-foil calligraphy invitations that they sourced from much-loved Smashing Supplier, The Golden Letter Paper Studio to their absolutely astounding pink ombre meringue shard cake, which almost looked too good to eat (almost). 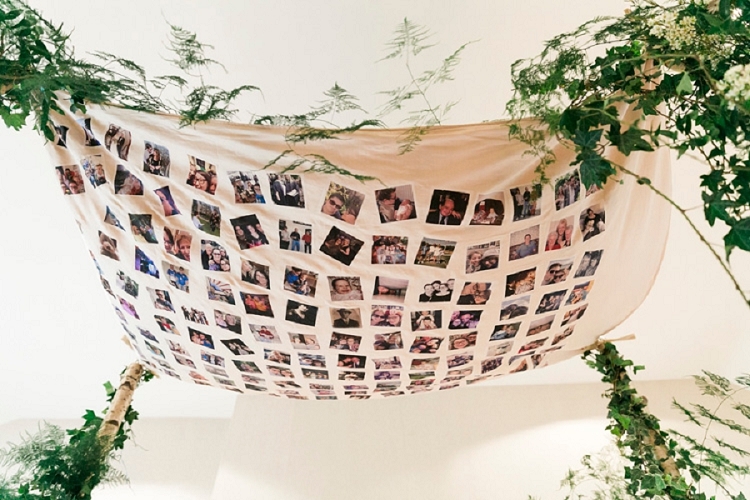 OK, can we talk about that chuppah, please? What a wonderful sentiment and a beautiful way to involve friends and family in such an important life moment. I won’t ruin it for you, go and have a look — and then come back next week for the DIY tutorial to see how it was made. 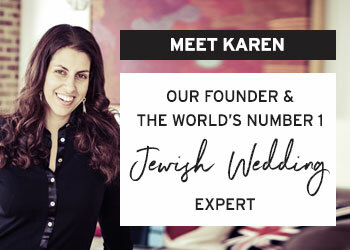 Lauren has her own fabulous blog, which I’d encourage everyone to follow, but for now I’ll put you in Lauren’s capable hands, for one more encore on the blog (and then another cheeky one when Lauren posts her chuppah tutorial next Friday, 17th — I just can’t get enough)! Take it away, Lauren. We talked for a few weeks on Match.com before meeting up for our first date on Valentine’s Day. I turned up very late as I was evidently not overly keen at that point. John bought me a present – a rose and a card. We got on so well and then watched Impractical Jokers until two AM while eating my homemade cookies. Lots more details are in my first blog!